S 1/c Geo. Lacy Mayes, son of the late Mr. and Mrs. Geo. 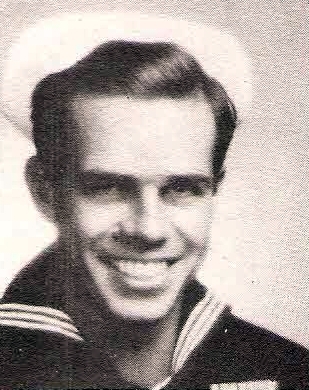 D. Mayes, Graham, husband of Franky Jo Nixon, graduate of Laredo High and Texas Tech. Entered Nav, 1942, trained in San Diego and East Coast Training Centers. Served in Atlantic and Pacific. Awarded GCM, 4 Battle Stars and 2 Campaign Ribbons. Discharged in 1945.